Sims Crane & Equipment is the vertical access rental equipment company that professionals have relied on since 1959. Our family business has grown since then, and now, we’re consistently ranked in the top 20 of the American Crane and Transport’s (ACT) Top 100 List of crane-owning companies and top 50 of the RER 100 top rental equipment companies. We’re renowned in the industry for our safety program, which includes performance monitoring and ongoing safety training and education. Clients trust that safety is our number one priority when they rent a lift or other equipment from us. Equipment for rent from Sims Crane & Equipment is always in excellent working condition. In the unlikely event that a problem occurs during rental, our service team is quickly dispatched to handle any needed repairs. It’s also simple for us to replace an inoperable rental because we have 24/7 dispatching for most of our most commonly requested cranes and lifts. At Sims Crane & Equipment, rental equipment is available by the day, week or month, and you can rent a lift or crane with or without an operator. We also offer Flex Time Rates for companies that need rentals, but have more flexible schedules. You can also save money from reduced travel minimums when you rent a lift, mobile crane or other equipment as a second call-out. 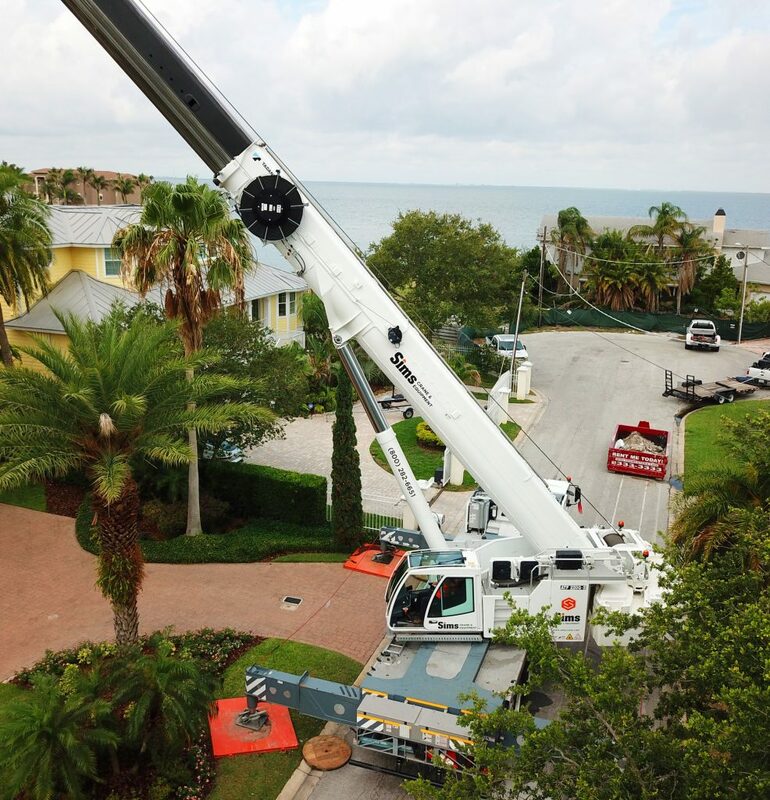 Rental equipment clients often take advantage of the NCCCO-certified crane operators, rigging specialists, 3D lift planning experts and other specialists and services available at Sims Crane & Equipment for their projects in Tampa, Miami, Jacksonville, Orlando, Tallahassee and the neighboring cities. Contact us today for more information on our rental equipment or to request a quote.